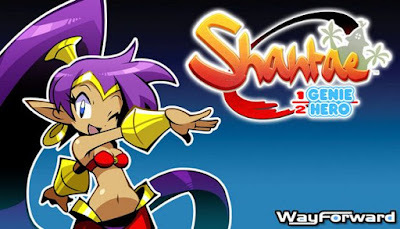 Shantae Half Genie Hero Ultimate Edition is developed and published by WayForward. It was released in 09 May, 2018. \u2022 Shantae’s trademark moves return! Dance to transform into all-new and classic creatures, or summon magical attacks! Over a dozen dances to discover in all! \u2022 New Relic System allows players to unlock new powers and customize moves for Shantae and her many forms! \u2022 Conquer arcade-style action stages that unfold into a full world to explore. Fast action and quest-style exploration rolled into one! \u2022 When Shantae’s story ends, you’re just getting started! DLC Modes introduce new characters, levels, and bosses! \u2022 Huge Bosses, humorous dialogue, and the wonderfully weird Shantae cast return, now in fully animated HD!